Many companies implement a whistleblower system, launching with a big announcement, talk the talk and then let the system fade quietly in the background. 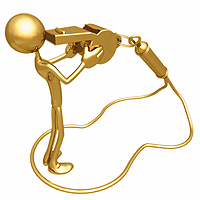 If a whistleblower system (and open culture) are going to be successful there are 5 steps that you should consider in order for it to be fully appreciated, utilized and recognized by your employees. First, when you launch your ethics hotline and whistleblower program, ensure that your CEO and management group truly buy into the concept. The management team must not only introduce the system, but embrace it. There is the overused term “Tone at the Top” but it is an integral component to entrenching the concept and the acceptance of the program throughout the organization. An introductory letter from the CEO outlining the expectation of behavior and the responsibilities shared by all employees to ensure the organization and its integrity are protected from all types of wrongdoing. Second, train, train and re-train. Use lunch and learns to introduce the system and to explain examples of ethical dilemmas. Try role playing between teams to distinguish what behaviors qualify as an ethical breach. Use videos, team challenges and sanitized actual cases to reinforce what the company considers unethical. Third, ensure there are strong anti-retaliation policies in place. There is no point whatsoever in implementing a whistleblower program if there is a hint of retaliation being tolerated. This includes social ostracization, demotions, harrassment etc. It is absolutely key that the organization institute a zero tolerance policy against retaliation. Fourth, educate your employees on the red flags that can help detect fraud. Changes in lifestyle, hints of substance abuse, gambling, gifts from suppliers or failure to take vacations are all subtle clues that there may be something else amiss. Team members need to be educated on those events that may hint at disaster and the sooner a fraud is detected, the less damage to the organization – both from a financial perspective as well as a reputational one. And finally, the fifth thing you can do to create a succesful whistleblower program is to re-emphazie your values and ethics. By introducing an ethics and compliance program, you are communicating to your team that you value integrity, honesty and colloboration. Research has show that ethical companies are more successful companies.